Acne sufferers of all ages are looking for more natural methods of curing and controlling blemishes. Many have been pleased to find that lemon juice is an effective treatment option for breakouts. Lemon juice can be used alone or in combination with other ingredients. See some popular methods and decide whether this remedy might be right for you. 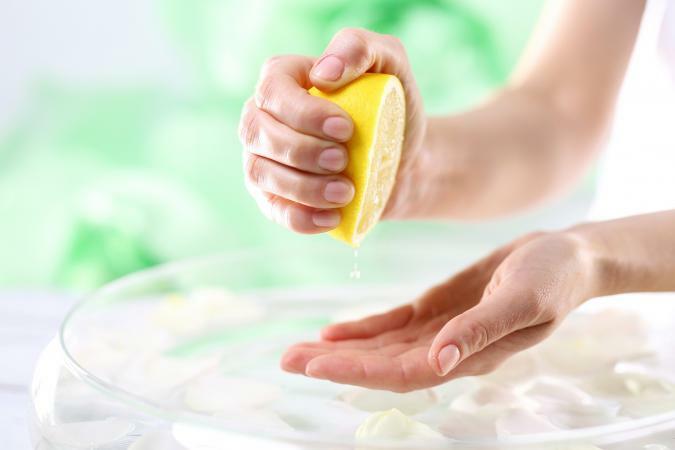 According to Women's Health Magazine, you need to cleanse the skin, apply freshly squeezed lemon juice to problem areas with a cotton ball, and wait 30 minutes (or as long as overnight) and rinse it off. Does Vinegar Help Get Rid of Pimples Fast? You can also dab clean fingers, a cotton ball, or cotton swab in a halved lemon and apply the juice directly to the pimple and leave it on overnight. Mix lemon juice with egg white to help cure acne and protect your skin. If you go this route, mix the lemon juice - about half a lemon should do - with a spoonful of egg white and apply as a mask for 20 to 30 minutes. This DIY Lemon and Egg White Mask for Acne video will show you how to whip up something that tones and tightens the skin, shrinks pores, and helps control breakouts. Create a lemon and yogurt face mask with this recipe from The Clear Skin Project. 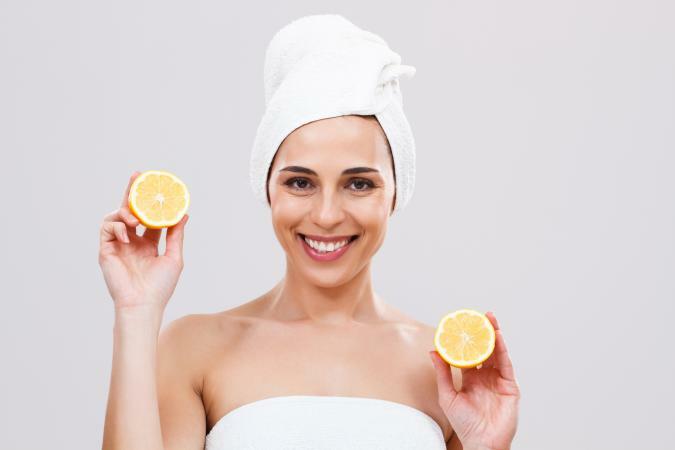 The alpha hydroxy acids and Vitamin C found in lemons reduce the appearance of acne scars. People with sensitive skin may want to consider this method if lemon juice alone stings or causes discomfort. Go to sleep with a mixture of lemon juice and honey on your face. The beneficial properties of the lemon combined with the antibacterial properties of honey may be helpful to blemishes. Just remember, the mess on the pillow may not be worth the chance of clear skin in the morning. If you want to use lemon juice at night, dab on a tiny bit with your finger or a Q-tip. Be sure to only touch the pimple itself, or you may wake up with a white spot. Baking soda and lemon juice have multiple uses. (The Modern Mom article, "What Happens When You Mix Lemon Juice With Baking Soda?" lists everything from stain removal to teeth whitening and at home face masks.) To treat a breakout, mix two tablespoons of baking soda with one teaspoon of lemon juice, apply the mask all over your face, and leave on for five to thirty minutes. Remove the mixture in a scrubbing motion to exfoliate and brighten the skin. In addition to being applied topically, this natural ingredient can also help pimples when taken internally. Either in hot water, or mixed with some honey, lemon juice can help clear out the system and brighten the skin. The Dr. Axe article, "The Benefits of Lemon Water: Detoxify Your Body and Skin," states that the antioxidants found in Vitamin C keep your skin looking younger, brighter, and fresher. 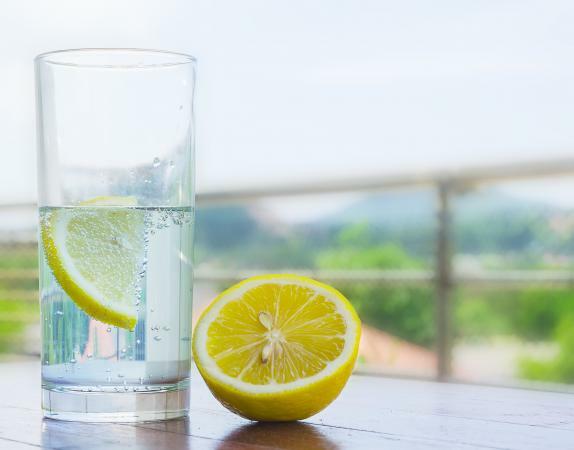 Though there are many ways your body benefits from lemon water (improved hydration, better digestion, and the prevention of kidney stones), its ability to fight pimples is still up for debate. However, if you really want to banish a bad breakout, drinking either a half or whole lemon may be effective. It is important to be cautious with this remedy, though. Lemon juice is a harsh acid that can damage your tooth enamel if consumed regularly. Many people use lemon juice on blemishes, pimples, and acne, including celebrities like Kendall Jenner and Scarlett Johansson. Lemons are beneficial to the skin due to being very rich in Vitamin C and flavonoids. Not only is this beneficial for all skin types, but it works as an exfoliant to the skin, which is an important step in treating acne. It's also an astringent, thus drying the blemish itself. According to the Home Remedies For Life article, "How to Get Rid of Acne Scars Quickly With Lemon," lemon juice is a natural bleaching agent. This is important as it can reduce redness associated with a breakout. For best results, apply a bit of lemon to fresh acne scars. works wonders, while others see no improvement whatsoever. The Facing Acne site included positive reviews from long-time users while there were mixed reviews on Acne.org. The main concerns were that lemon juice is affected by UV rays (which increases the risk of a sunburn) and that it can cause hyperpigmentation. It can reduce oil levels. Lemon juice can be used as a toner thanks to its astringent properties. This pushes the oil out of your skin, which minimizes the effects of a breakout. Redness is dramatically reduced. In the video, "How to Use Lemon Juice to Stop Zit Redness," you can find out how to create and apply your own mixture. Red and blotchy skin may be soon be gone. It can fight breakouts. The antibacterial properties found in lemon work to heal existing blemishes, while the citric acid helps to tighten pores. Scarring can be reduced. The Fashion Spot highlighted how lemon juice can be used to lessen the effects of acne scars, though they found this method works better on new acne scars than old ones. Although many proponents of natural and alternative health, such as Dr. Oz, are fans of lemon juice, it is not necessarily recommended by medical doctors for acne. If you have persistent or problematic breakouts, book an appointment with a dermatologist. Lemon juice can be very drying. This is great for pimples, but can be hard on the skin. Mixing a dab of honey will help balance out the dryness. Pure honey has natural antibacterial properties that make it a good healer of blemishes in itself, but it's also a strong natural moisturizer. Mix the two together for a less severe treatment method. It can alter skin color. When it comes to reducing redness (which is often associated with pimples) this is a good thing. However, if lemon is used all over the face, it can cause changes in skin tone and hyperpigmentation. People with darker skin tones should avoid using lemon juice for blemishes, as it can lead to dark spots. Using lemons can disrupt the acid mantle (the coating on your skin that helps you maintain an appropriate pH balance). This can unbalance your skin, especially if you are sensitive to begin with, according to the Elle Australia's article, "Is Using Lemon to Treat Your Skin Really Beneficial?" The acidic nature of lemons can increase redness and irritation for some people. It's important to watch for signs of irritation, and if redness doesn't improve after a few hours then this method should be stopped. Additionally, lemon is phototoxic (sun exposure can lead to burns) and the acidic levels can vary (no two lemons are exactly the same). So, be sure to weigh the pros and cons before you head to the grocery store. It may be tempting to use lemon juice from concentrate for the sake of convenience. For topical applications, it must be the actual lemon, as its properties are diluted in bottled products. If you are sick and tired of dealing with pimples or acne scars, consider lemon juice. This inexpensive and natural cure may be the answer. Keep in mind the pros and cons, however, before you try this method. How To Remove Acrylic Nails By Beth S, M.D.